The towns of Fairdale, Kirkland, Rockford, and Rochelle were severely damaged by a tornado or possibly several on Thursday night. Photos uploaded to Twitter show the devastation. At least two people were killed and homes were destroyed, according to reports. Illinois Gov. 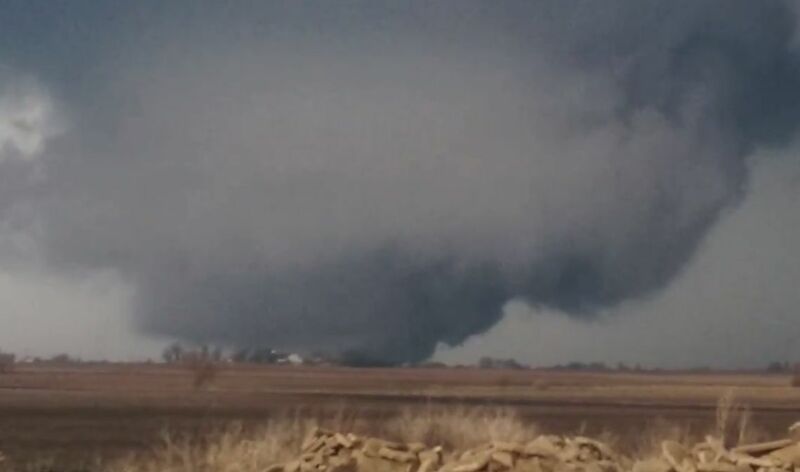 Bruce Rauner confirmed that a second person has died after tornadoes struck northern Illinois. Rauner told reporters Friday in Flagg that two people had died. He was surveying damage in the region. Among the hardest-hit areas was the small farming community of Fairdale, where one woman was killed. She was identified as 67-year-old Geraldine M. Schultz. The second person has not been identified. About a dozen people were injured Thursday after at least one tornado swept through tiny Fairdale. It’s an unincorporated town of about 150, about 80 miles northwest of Chicago. There were reports of people being rescued from homes and businesses in Rochelle, Kirkland, and Fairdale. 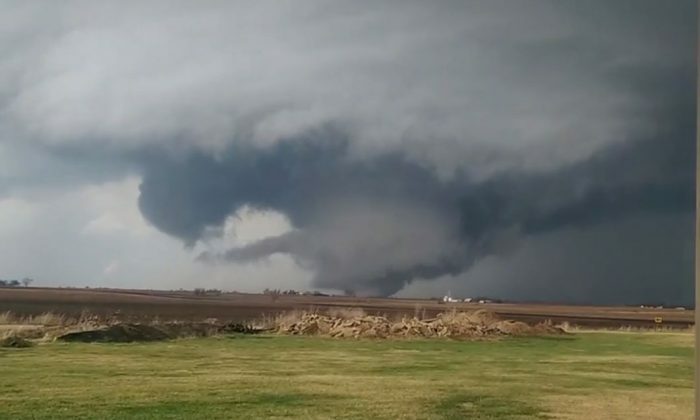 An Illinois sheriff’s dispatcher who declined to give her name due to department policy said there was widespread damage but no immediate reports of injuries when the tornado swept across the town of Hillcrest, about 80 miles west of Chicago. Winnebago County Sheriff’s spokesman Ken DeCoster said funnel clouds also were spotted near Rockford a few miles north but did not touch down. However, television footage showed multiple homes damaged in the unincorporated community of Fairdale. The system, packing hail and damaging winds, was headed east as storms rumbled through the Midwest and Plains during the region’s first widespread bout of severe weather. The severe weather forced the cancellation of more than 700 flights at Chicago’s O’Hare International Airport and flight delays of 90 minutes, and dozens of others were cancelled at the city’s Midway International Airport.